In the summer of 2017, the 1st Marine Division ­commander, then-Maj. Gen. Eric Smith, was on a warpath to stamp out hazing across the storied unit. The crusade against hazing would see nearly 30 Marines confined to the brig and at least 18 ­administratively separated. His controversial tactics were rebuked by the United States Navy-Marine Corps Court of Criminal Appeals in February in the case of Sgt. Jamie Ortiz, who was accused of hazing five junior Marine and assaulting two others. “A reasonable observer would conclude that the [Convening Authority]’s ego is closely connected to the offense, and thus he has a personal interest in the matter,” the judge said. A military appeals court rebuked a two-star for his crusade to oust hazers from the Corps. Ortiz eventually would win his battle against the Marine Corps at the end of August after he was ­retained following an administrative separation board. While Smith has received much criticism for his heavy-handed tactics, the two-star general, who had assumed command of the 1st Marine Division in June 2017, was waging a battle against what appears to be a seriously entrenched culture of hazing across the unit. Command investigations into allegations of hazing obtained by Marine Corps Times spanning from 2015-2018 via a Freedom of Information Act Request show cases of alleged physical assaults, forced alcohol consumption, broken personal belongings, shaved heads for not earning “the right to have hair” and even forced planks over a container of bleach. In some ­instances, it may have pushed some Marines to ­contemplate suicide, the investigations show. From 2016 to 2018, the 1st Marine Division has had nearly 101 investigations of hazing. In 2015, the unit had experienced just over a dozen allegations of hazing, but that figure would spike to 26 cases in 2016, and nearly double to 49 in 2017. The units across the division with the most ­hazing allegations have tended to be those with high ­operations tempos and deployments. The Corps’ famed 3rd Battalion, 5th Marines, also nicknamed “Darkhorse,” kicked off an internal investigation in 2017 into its own command climate following six investigations of hazing across the unit, which spanned from 2015 to 2017. Darkhorse investigated four of those allegations alone in 2016, with three of those cases being substantiated. According to Darkhorse’s internal investigation, the 1st Marine Division would have at least one ­hazing allegation in every unit across the entire division that year. In 2017, 2nd Battalion, 4th Marines had investigated at least four allegations of hazing. And 2nd Battalion 5th Marines had nearly five hazing cases. Smith’s frustrations with the hazing had boiled over into an email that he sent to command staff on July 12, 2017, which was detailed in an appeals court decision in February. “[T]he Marine Corps owns the barracks, not a few salty LCpls who probably can’t fight their way out of a wet paper sack. We’re the [1st MarDiv], victors at Guadalcanal, and we’re reduced to dealing with jackassery from a few LCpls who think they are in charge. That will be proven wrong asap. We have 12 dead Marines in a KC-130 crash . . . and these few LCpls who haze can’t even pay them the respect our ­Commandant has asked for,” Smith had said in the email. Many of the cases reviewed by Marine Corps Times paint a disturbing picture of Marine noncommissioned officers, or NCOs, and lance ­corporals in junior ­leadership positions run amuck. 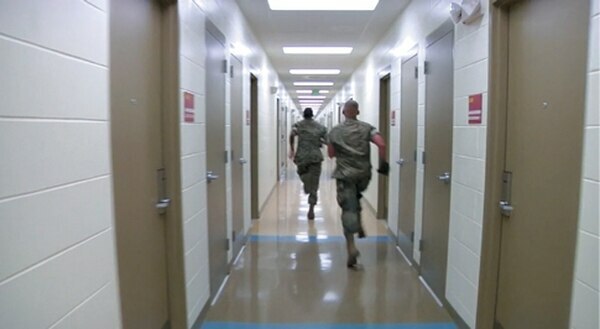 Cases at times involved drunk Marines tearing through the barracks late at night during room ­cleanliness inspections, tossing rooms, assaulting Marines, forcing them to conduct physical fitness or consume alcohol, and in some cases breaking personal belongings of junior Marines. Some room inspections, and what some Marines would describe as punitive corrective measures, ­occurred at abnormal times after midnight. In an incident involving 3/5 in March 2015, a ­Marine allegedly was taunted by at least four other Marines and derided as weak during a room inspection. During a re-inspection around ­midnight, the Marine conducting the room ­inspection ­allegedly continued to berate the other Marine and “­proceeded to choke slam” him, a command ­investigation detailed. In another investigation into 3/5, Marines allegedly were woken up at 4:30 a.m. for several days following a room inspection where a Marine conducting the inspection allegedly “threw trash” and was “verbally abusive,” the investigation said. In that same investigation, a Marine allegedly was thrown into concertina wire during a Marine Corps Combat Readiness Evaluation exercise. On Jan. 27, 2016, some Marines with 2/5 ­allegedly made five E-2s clean their rooms from 8 p.m. to 1:30 a.m. while also doing pushups and wall sits, a command investigation detailed. One of the Marines allegedly passed out from exhaustion as a result. Another Marine allegedly was kicked, kneed in the side, forced to do pushups, and squat another fire team members over “improperly rolled sleeves,” according to a July 2016 investigation by 3/1. Hazing across the division was so severe at times that in one case a Marine claimed it caused him to go absent without leave, or AWOL, for nearly a year. And in some instances, it may have pushed others to contemplate suicide. In January 2016, the command of 5th Battalion, 11th Marines were made aware of a Marine who had turned himself to authorities at the Marine base in Quantico, Virginia, after being AWOL since April 27, 2015. He had told authorities he partially had gone AWOL because of hazing at his unit and a drug-related incident involving his brother. The unit launched a preliminary investigation into the Marine’s claims, which included multiple ­allegations of hazing against an NCO and other Marines in his section, that appeared to highlight a pattern of mistreatment. An NCO in the unit allegedly made the Marine sprint back and forth to fill up his camelback, when it wasn’t done fast enough, the water was dumped out. The Marine claimed he was forced to conduct field day or clean his room until 2 a.m. on multiple occasions. The Marine also alleged being forced to conduct physical fitness and made to clean the barracks several times during the weekend. On Sept. 22, 2015, an anonymous letter from El Paso, Texas, was sent to the command of 2/4 ­warning that Marines might commit suicide and telling the command to look for junior Marines with shaved heads. The command launched an investigation and during an interview with one Marine the Marine told the command he allegedly was ordered to shave his head because he “did not earn the right to have hair,” one command investigation read. From Dec 2016 to Jan. 2017, a Marine at ­Twentynine Palms, California, was accused of forcing Marines to conduct a plank with their chests or sternum on a Kevlar helmet, according to an investigation. One of those Marines was alleged to have been forced to plank over a container of bleach to make the experience “more painful,” the investigation detailed. The accused Marine also was alleged to have trashed another Marine’s room during a field day inspection by “throwing his mattress on the floor, tipping over furniture, dumping dip spit, laundry detergent, body wash, protein powder, vitamin supplements, and the contents of a mop bucket on his floor,” a command investigation said. The same Marine was also accused by two others of placing a noose around the neck of another service member and tugging on it in July 2016. The Marine was further accused of using ­racial slurs against black and Hispanic ­Marines, ­using Marines for personal servitude, and ­forcing ­someone to do nearly 400 pushups in the ­duty-hut, according to the investigation. The examples are just a handful of more than 100 cases over a four-year period that detail alleged abuses by NCOs and Marines in junior leadership positions across the 1st Marine Division. Other cases involve “pinning ceremonies,” where newly promoted Marines have their chevrons jammed into their collar bones, or various unit initiation rituals. The Corps has a strict policy against hazing, detailed and recently updated in its newly approved ­­Prohibited Activities and Conduct policy. “Any conduct whereby a Service member or DOD employee knowingly, recklessly, or intentionally and without proper authority but with a nexus to military service causes a Service member or members, regardless of Service or rank, to suffer physically or psychologically or be exposed to any activity which is cruel, abusive, humiliating, oppressive, demeaning, harmful, or creates a risk of physical or psychological injury,” the PAC order says. That also can include psychological or verbal abuse through online communications or social media. A Marine faces administrative separation despite a judge's ruling that the 1st Marine Division's commanding general was biased. While Smith’s crusade against hazing threw Marines in the brig and administratively ­separated some of the offenders, other units across the division experimented with unique ways to stymie potential hazing. 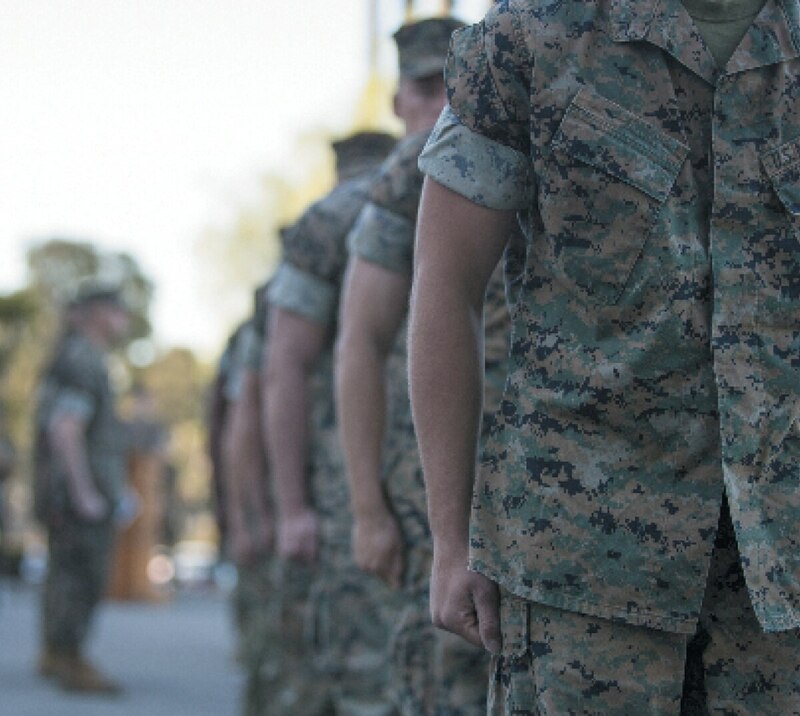 A common connection across hazing incidents ­spotlighted a consistent theme of deployed or ­experienced Marines versus new joins who had yet to deploy. In its internal investigation into hazing and command climate, 3/5 decided to implement a new policy whereby new joins would report to a headquarters company for ten days, to separate them from Marines who have deployment or experience, or who may have just returned from a deployment. The new joins are then assigned a battle buddy and a staff NCO as a mentor in their new future platoon. The Marines of Darkhorse contend that the command climate has since improved. The Marines with 2/7 instituted a similar policy by creating reception platoons and housing new join Marines in a separate barracks from the rest of the Marines of the unit to help mitigate potential hazing incidents. Smith has received a lot of pushback for his efforts to eliminate hazing in the 1st Marine Division, but some of those efforts may be paying off. So far in 2018, there have only been 26 cases of hazing, a figure that is down. However, that figure does not represent cases yet to be completed. Smith has since pinned on a third star and is now the commander of III Marine Expeditionary Force. “The 1st Marine Division is committed to ensuring that no Marine or Sailor is mistreated or hazed. Every Marine and Sailor in the Marine Corps ­conducts annual training to understand what constitutes hazing and proper procedures to prevent or report hazing,” Gainey said.